Sitting just over the Cottonwood-Clarkdale border, situated on a spacious corner lot, sits a large, spacious family home on the corner of Liough Dr. and Old Jerome Hwy. 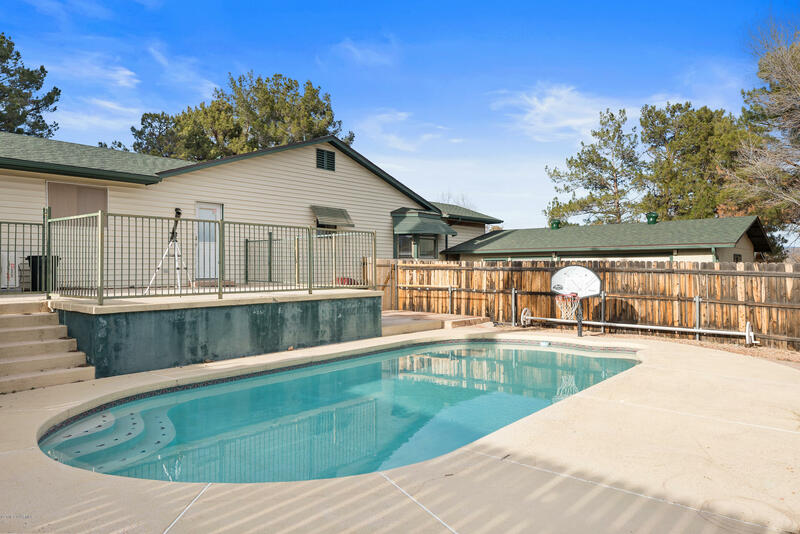 The home boasts large, very useable square footage, private pool with Cool-Crete decking and flagstone patio area for poolside dining, expansive, fenced backyard with covered deck and long distance views of Sedona's famed Red Rock monuments. Not to mention, available RV parking. Inside the home, you'll find more storage and ''bonus rooms'' than you'll know what to do with! Let your imagination run wild with what the rooms could become for you: playroom, art studio, hobby or workshop space, home gym, cat room...Whatever!